Willem Claesz. Heda was among the leading masters of the monochromatic banketje or breakfast still lifes for which his native city of Haarlem became known. They usually feature humble Dutch foods such as bread, cheese, and beer. 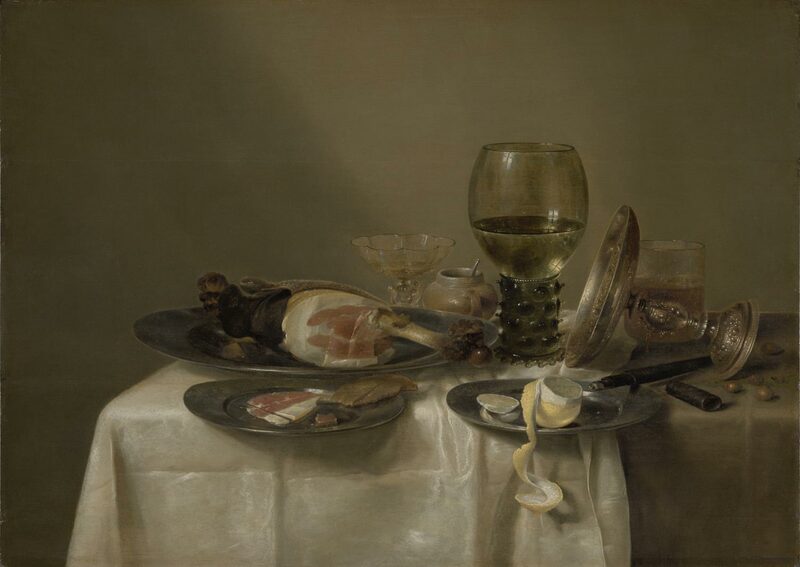 Heda crafted spartan yet monumental compositions of great virtuosity, reveling in his ability to show the fall of light on bleached tablecloths (another famous Haarlem product), the reflections on pewter ware, and the textures of exotic foods. The imported lemon demonstrates the changing Dutch lifestyle that resulted from global trade. Heda seemed to temper his display of luxury with moralizing overtones, suggested by the disorder of cups and plates, as well as the wastefulness evident in the aftermath of this meal.